Have you been thinking about putting your home on the market but are not sure if this the right time? 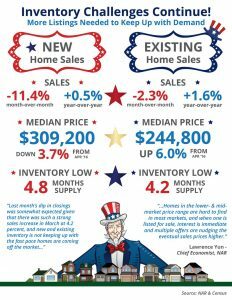 Think again…inventory is low and there are many buyers out there waiting for the chance to get into a home! Whether you are looking to sell your home or are looking to purchase your dream home, you need a professional to help you through the process! Click the link for this cool infograph explaining today’s market!